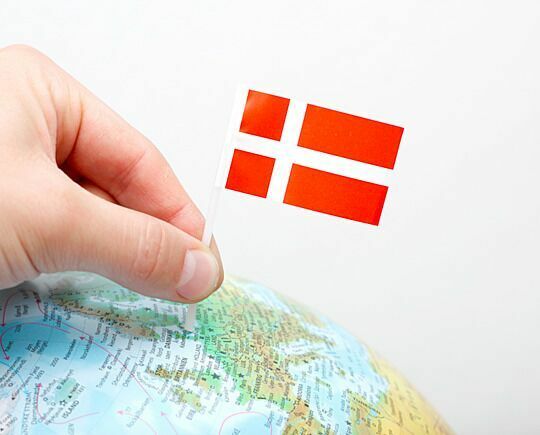 Danish growers presented their latest novelties to the press at IPM. From a tall begonia listada to a new, blue campanula and from a poinsettia targeted at young consumers to chrysanthemums in 6-cm pots. “We’ll be able to extend the season with this poinsettia, as the colour makes it suitable for Halloween too. We’re also hoping to attract some more young consumers with this novelty. 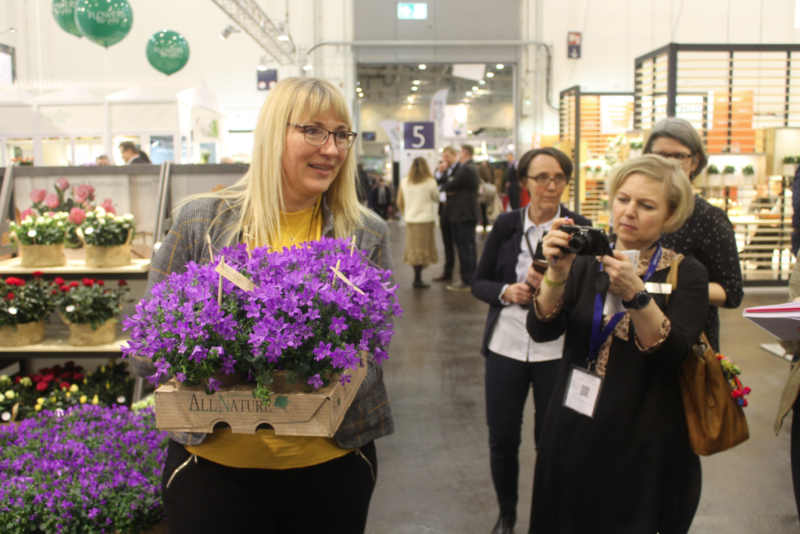 Young people don’t buy plants because they are the traditional choice, they choose a product because they like the colour”, explained account and marketing manager Helle Graff of Danish propagation company Graff Kristensen. 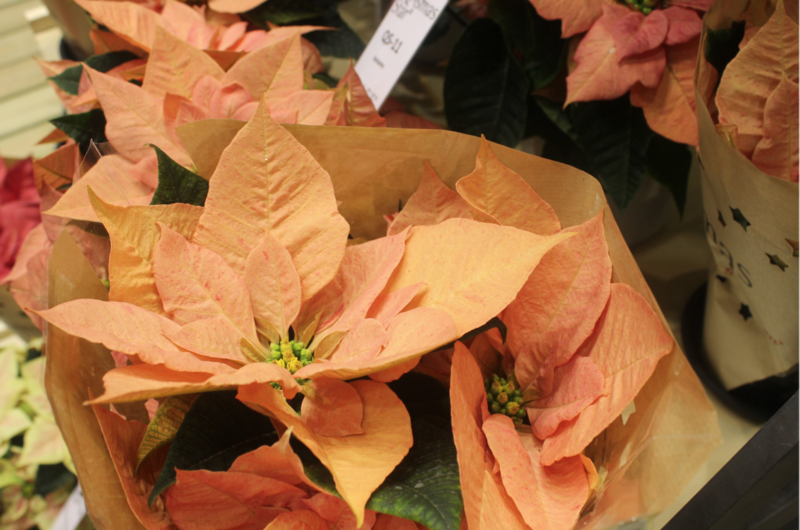 The poinsettia in question is the Q-ismas Star Oak, which distinguishes itself by its orange-salmon colour. An autumnal colour, which will hopefully appeal to young people and can already be sold in autumn. According to Graff, there’s great demand for the plant. Graff Kristensen was one of eight different Danish companies showing novelties to fifteen journalists during a special speed date on the IPM trade floor. Another noteworthy novelty was the begonia listada Angel Wings on Sticks of Hawaii Gartneriet. This Danish nursery has their own breeding programme, but they also use natural varieties. 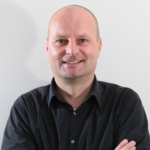 Angel Wings is a natural variety, explained sales and marketing manager Stefan Lund. So, what exactly makes this Angel Wings, the name refers to the shape of the leaves, a novelty? The plant has a light-green grain and it’s taller than other begonia listada varieties; they’re usually quite compact and low. 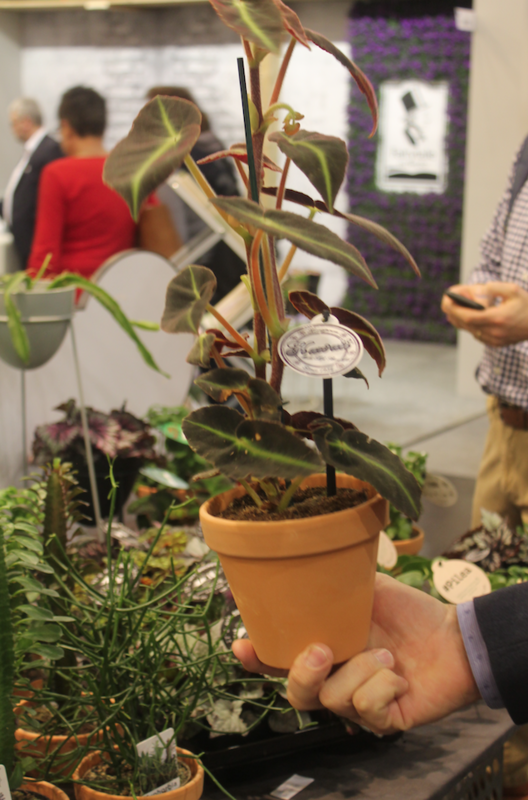 “It fits in with the current green-plant trend and it’s easy to care for”, Lund promoted. According to him, Hawaii is the only nursery that sells this plant. They were also showing a novelty in their series of wild kalanchoe: the kalanchoe daigremontiana ‘Octopus’. 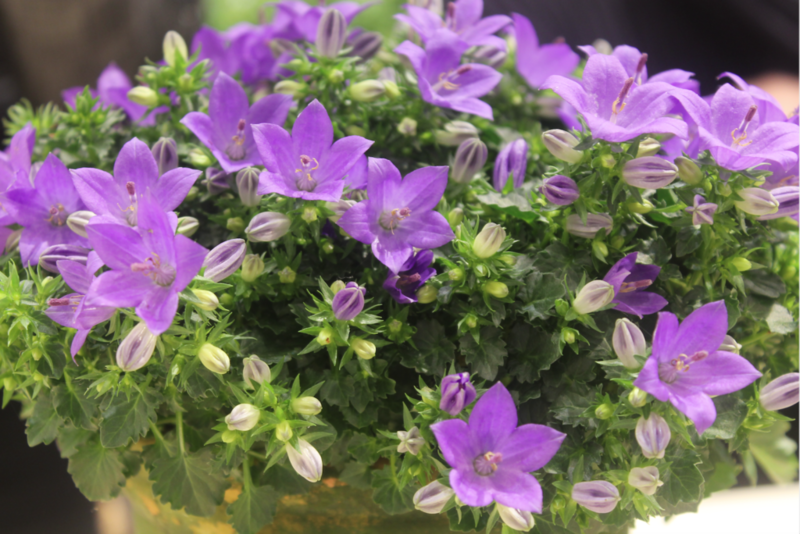 Thorupland presented a new, blue campanula. Midnight Blue Ocean – from their own breeding programme – will replace the light-purple, small-flowered campanula that Thorupland has had in their assortment for thirty years. 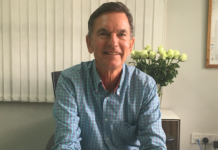 R&D manager Jørgen Andersen and sales manager Lars Kreutzmann explained that the Midnight Blue Ocean has larger buds, which have a deep-purple colour, and that the plant is stronger. They said that the latter was proven last summer. “There were so many hot days and we sometimes forgot to water the plants. But when we watered them at a later stage, they would always recover very quickly.” Thorupland is planting 50,000 Midnight Blue Oceans and the distribution to, for example, Germany, Poland and the Netherlands, will start in May. Rosborg told us they are going to grow five different colours from the Cosmo series the coming two years: White, Yellow, Lime, Bordeaux and Purple. The varieties are sourced from breeding company Dümmen Orange. It concerns the 6cm-pot minis. Growers in other countries grow Cosmo in a larger pot size. 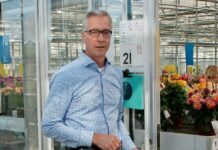 Sales manager Lene Berendtsen explained that all their plants are sold with a large main flower. 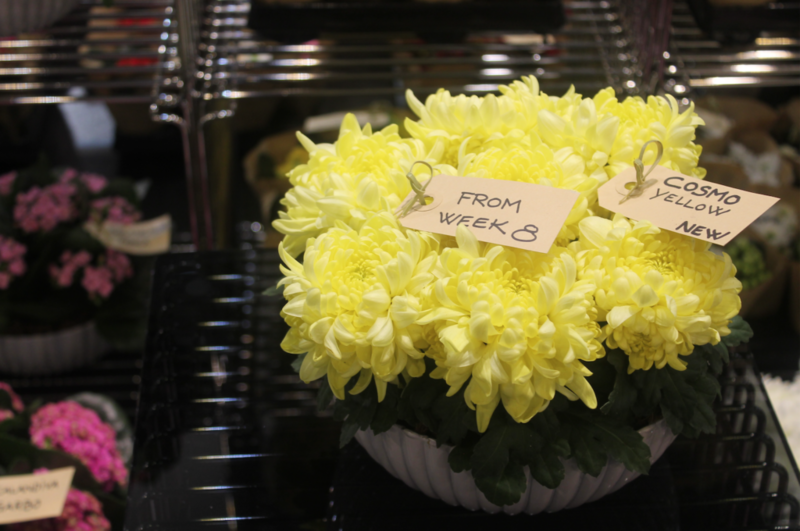 She added that this Cosmo is suitable for use in flower arrangements too. Their first large order will be shipped to Russia in time for Women’s Day. 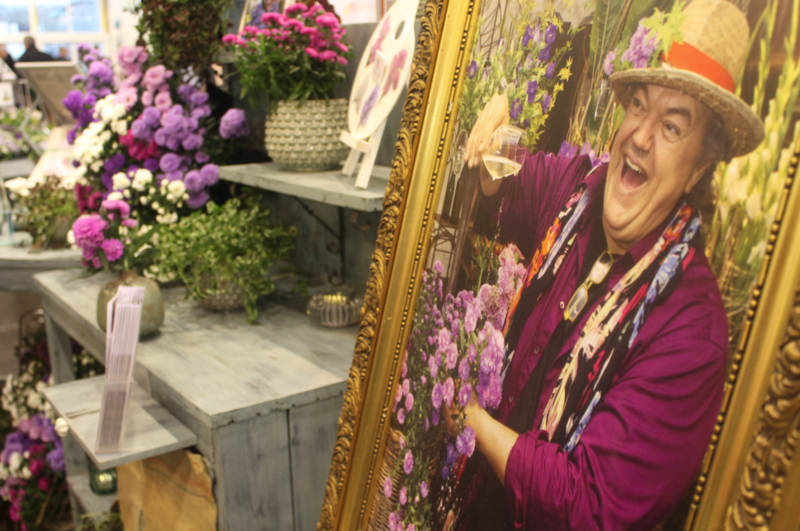 More Danish novelties were presented by Roses Forever, Butterfly Garden and Gartneriet Råhøj. However, some of their ‘novelties’ had already been exhibited at other fairs, like IFTF. The pink cut aster from the Mystery Lady series of Råhøj for example, was officially named in August last year by Norwegian florist Nils Norman. This pink aster, with large, fuller flowers, is the third colour, after blue and white. Malene Juhl Jensen explained that the asters are cultivated by two African growers and that they were recently spotted by Marks & Spencer. There’s also a grower in Germany who sells them through Großmarkten. 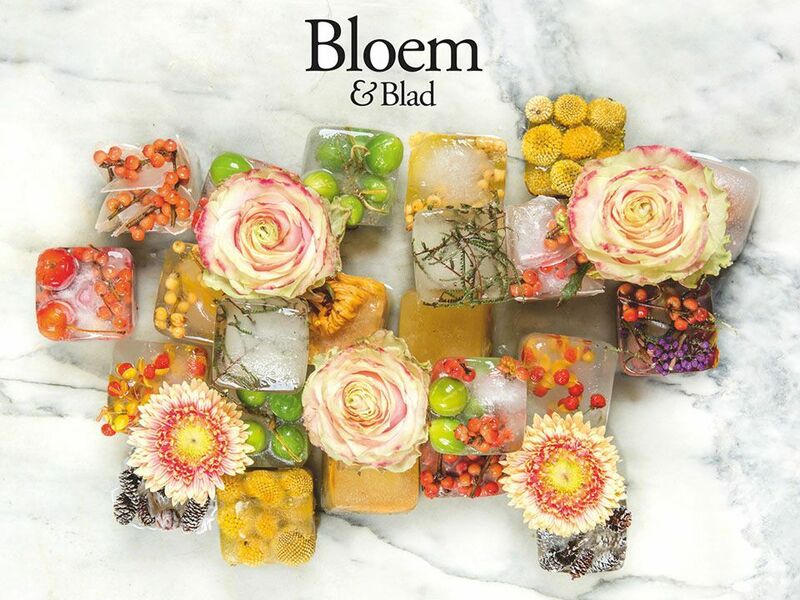 “We hope that Blume2000 is going to include our cut asters in their assortment as well”, said Juhl Jensen. Gartneriet Råhøj’s cut asters aren’t grown in the Netherlands. “It’s difficult to get into the Dutch nurseries”, they said. Butterfly Garden showed their All Nature concept, consisting of campanula in 100% degradable trays and pots, equipped with a degradable label. 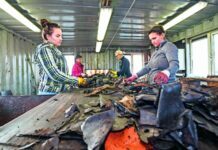 The concept was first introduced at IPM last year. 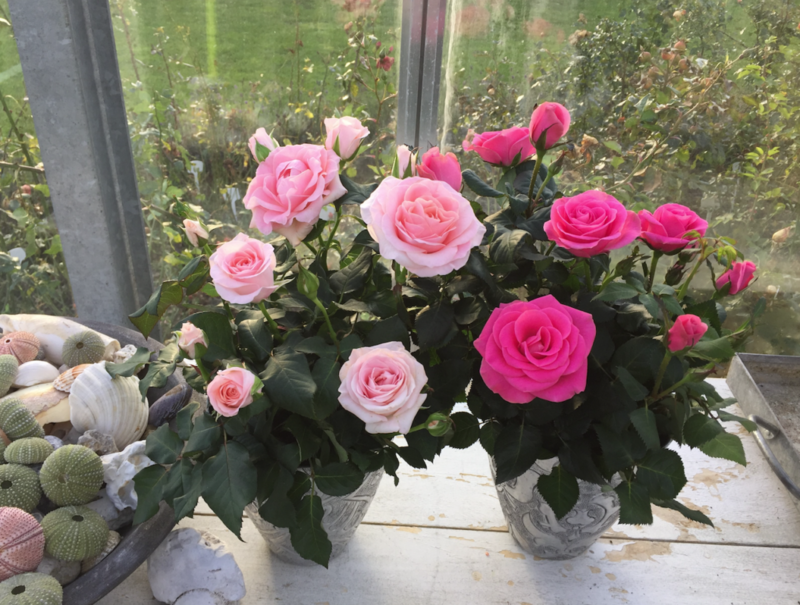 Breeder Rosa Eskelund of Roses Forever was advertising their scented garden roses and edible roses, as well as the new potted roses from their Infinity series. The scented roses have big flowers and will be marketed under the brand name Love Fragrance Forever. The novelty won the Publikumspreis für die Pflanzenneuheiten at IPM. The new varieties will be ready for the market from March 2019. Botaniq LAB of Offer Madsen, finally, did present something new: Organic XL. 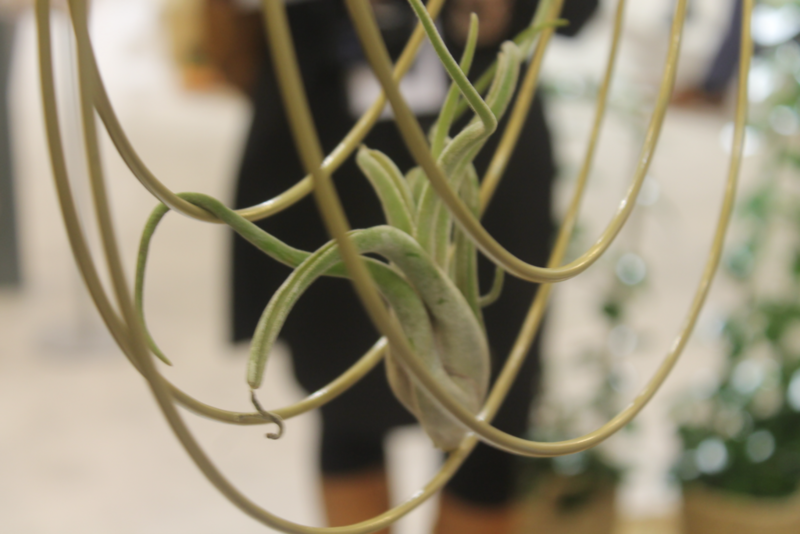 This ornament consisting of several elegant, brass rings holding a tillandsia can be hung up indoors.